Jesus' entry into Jerusalem, walking on palm leaves. 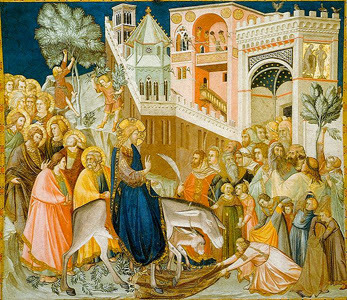 For Western Christians, this week began with "Palm Sunday," a feast day that falls on the Sunday before Easter and celebrates Jesus' entry into Jerusalem. His procession is said to have included his followers laying palm tree leaves before him along his path. The connection to seventeenth century priest and glassmaker Antonio Neri is this: In his book L'Arte Vetraria, Neri describes his very best green glass with a colloquial expression; saying the recipe "carries the palm" for all other greens. 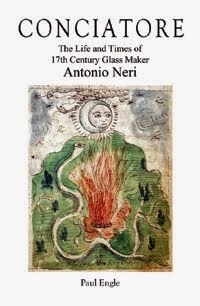 In his book, Neri presents a string of recipes for variations of green glass. 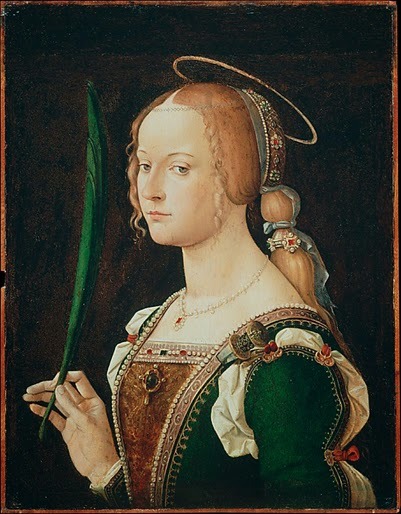 Finally, in chapter 35, he presents his ultimate green, which he titles: "Another Green, Which 'Carries the Palm' for All Other Greens, Invented by Me." The phrase "carries the palm" alludes to the biblical story of Jesus entering Jerusalem, in which the people welcomed him by laying down cloth and palm branches on the ground in his path. Even before that, the palm branch served as a symbol of victory; in ancient Greece, palm fronds were awarded to victorious athletes. Later in history, Roman lawyers who won a case decorated their doors with palm leaves. All lead precipitating out of the glass must be removed with diligence, throwing it away, so that it does not make the bottom of the crucible break out, as can happen. Return the glass that was thrown in water to the crucible and leave it to clarify for a day. 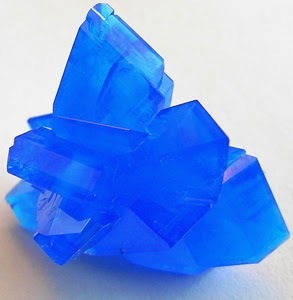 Then add the color using the powder, made chemically by the dry distillation of vitriol of copper [chapter 31]. Also, add a little crocus of iron, but very little. The result will be a most marvelous beautiful green, the best that I ever made. It will seem just like an emerald of ancient oriental rock, and you can use it in every sort of job. *This post first appeared her in a slightly different form on 25 October 2013.